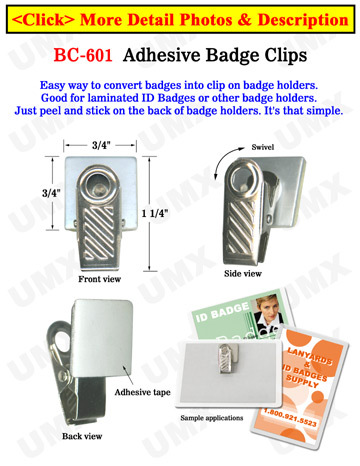 Adhesive Name Badge Clips - On Special Sale Now! This name badge clip comes with adhesive tape in the back. Simple application: peel the covering off of the adhesive backing and stick the clip to the back of your name badges. This clip can be easily applied to ID cards or ID badges.